Dr. Chin is currently the Associate Medical Director of the Fairview Hospital Emergency Department in Great Barrington, MA. Prior to this, he was an Emergency Physician at Sharon Hospital since moving to Lakeville, CT with his wife and 3 children in 1999. At Sharon Hospital, he served for 8 years as the Chief of Emergency Medicine, the Medical Director of the Sharon Hospital Emergency Department, and as the Medical Director for the local EMS squads that care for patients who live in the Sharon Hospital Service area in New York and Connecticut. Before moving to Salisbury, Dr. Chin worked in the Emergency Department of the Alaska Native Medical Center in Anchorage Alaska. He tries to return to Alaska annually to continue working part-time for the Indian Health Service. His professional background also includes a strong interest and training in public health. He was a public health practitioner and member of the Epidemic Intelligence Service at the Centers for Disease Control and Prevention from 1997-1999 serving in the Oregon State Health Department. 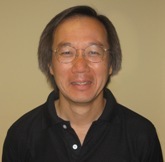 Dr. Chin completed his residency at Yale New Haven Hospital in 1994. He graduated from the University of Pennsylvania School of Medicine in 1991 and from Brown University in 1986 with a ScB in Engineering.